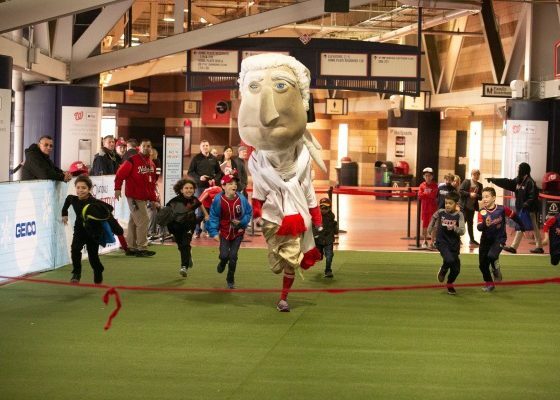 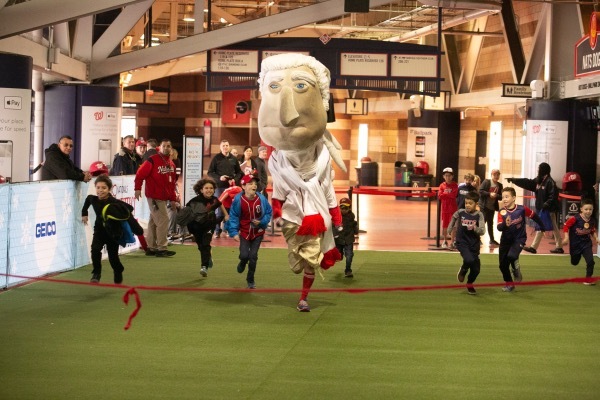 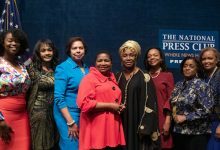 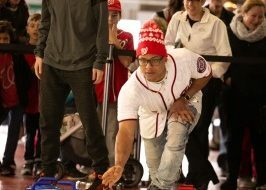 The Washington Nationals opened their stadium and facilities to the public over the weekend for Winterfest, a celebration of “presents and presidents” hosted by the Major League Baseball franchise with The Washington Informer Charities and other community groups to show their appreciation to the fans. 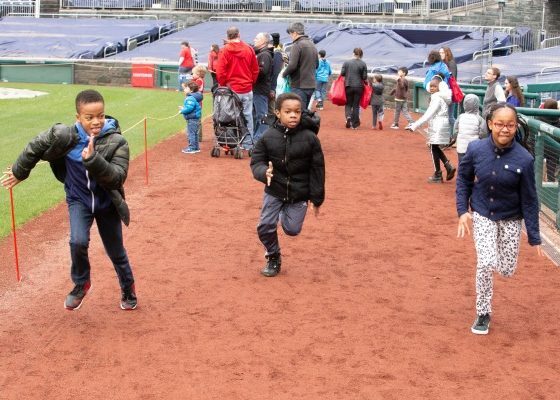 Nationals Park, from the dugout to the club level, was swarming Saturday with bright-eyed children and fans of all ages who ignored an icy cold rain and made the trip to South Capitol Street, paid $29 and waited in line to take photographs with players, race with the bobblehead presidents and collect autographs of their favorite players. 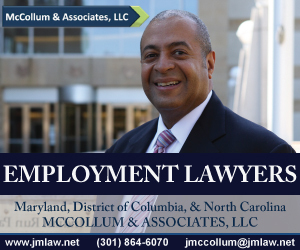 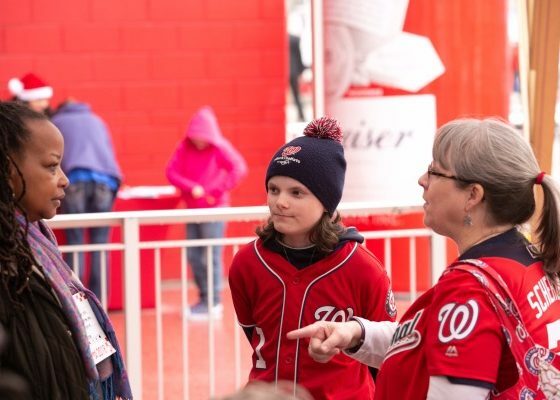 “We drove 240 miles from Byram Township, New Jersey, to get here,” said Kate Swiencki as she and her son waited in line to take a photo with Nationals outfielder Victor Robles, a native of the Dominican Republic who was signed by the Nationals in 2017. 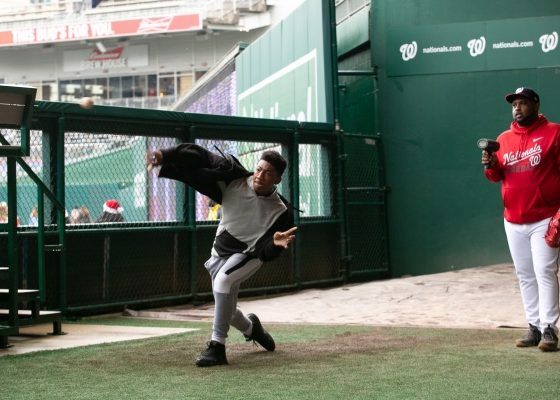 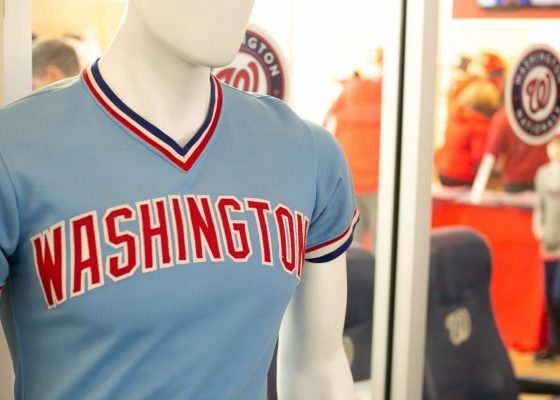 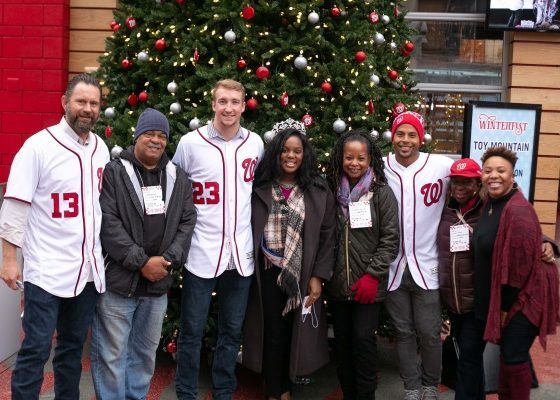 For those not baseball fans, the visit was a chance to meet players and visit a stadium adorned in Christmas trees and lights that sits in a part of southeast D.C., which years ago was a venue of horse stables, gritty nightclubs and boarded-up blight. 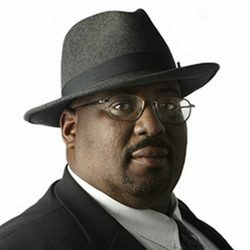 Today, the Southeast corridor is lined with cranes pulling up tall buildings under construction. 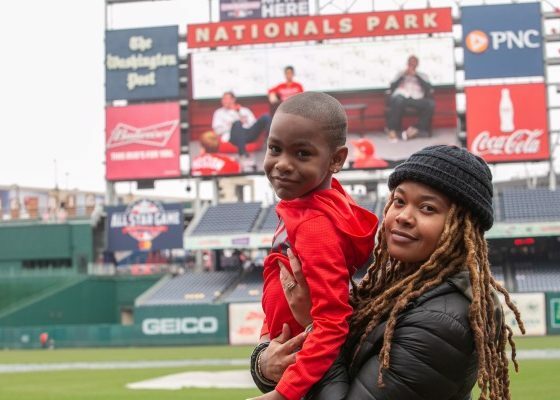 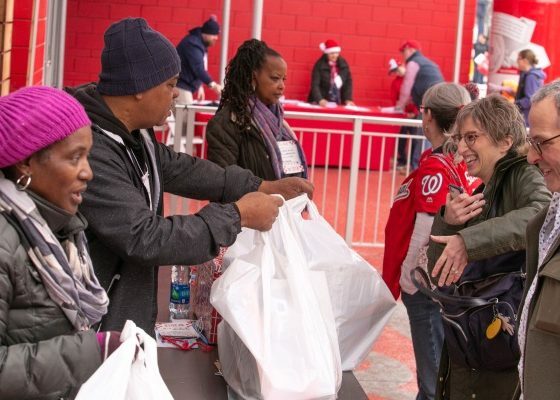 But despite gentrification and racial realities, fans from many walks of life love the Nationals and enjoyed their closeup view Saturday despite inclement weather. 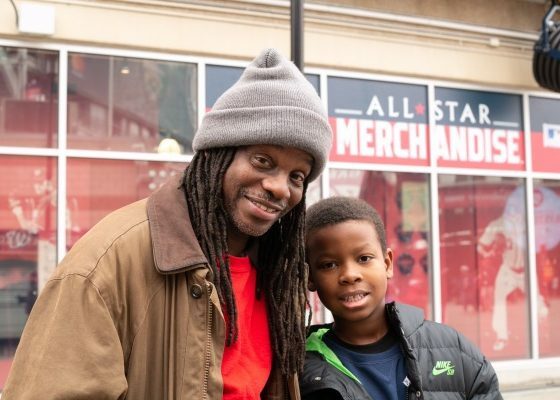 Genji Lawson, a resident of northeast Washington, came to the event with his 5-year-old son Yusef. 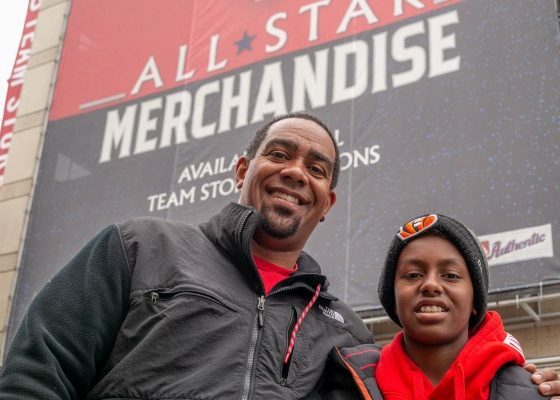 “I thought it was something that he might enjoy,” Lawson said of his son. 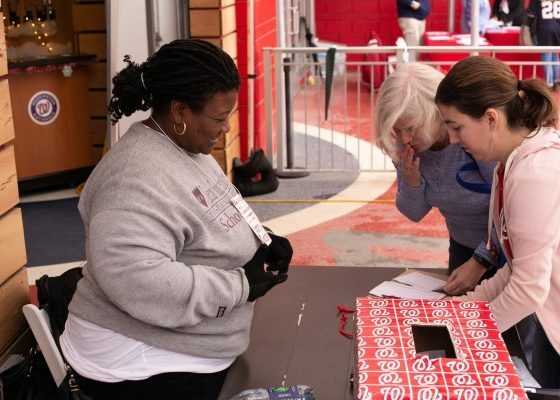 Michelle Wright came to Nationals Park from Alexandria, Virginia, because she said it was a first. 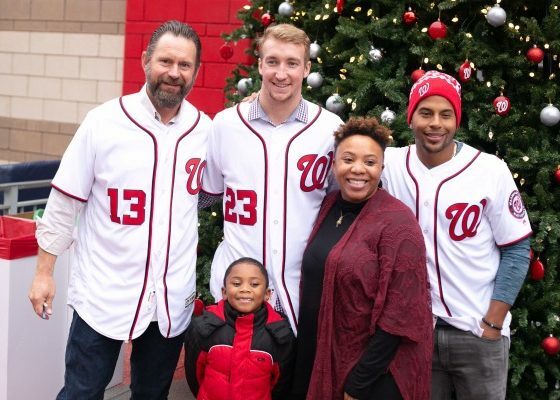 Jessica Stephenson said she and her husband used to the Nationals Winterfest as an opportunity to teach their two sons about giving. 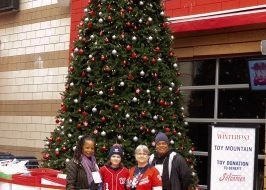 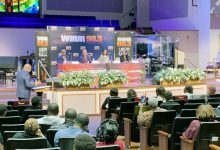 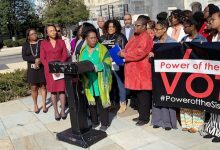 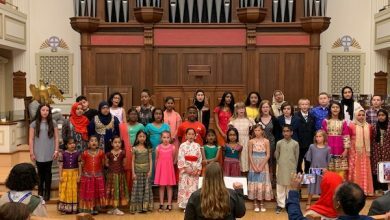 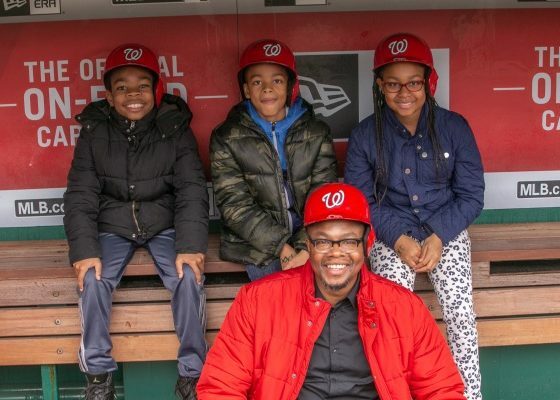 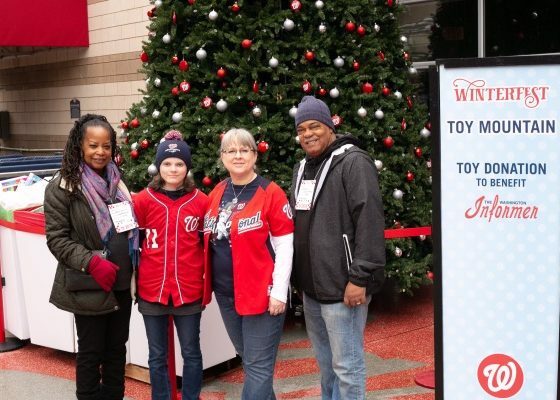 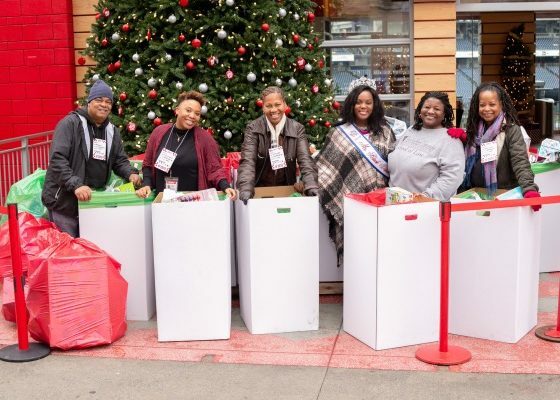 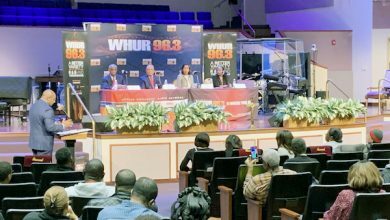 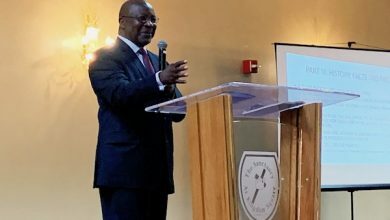 The Nationals co-sponsored a toy drive with Washington Informer Charities, a nonprofit of the weekly newspaper that promotes literacy among youth and adults in the D.C. area. 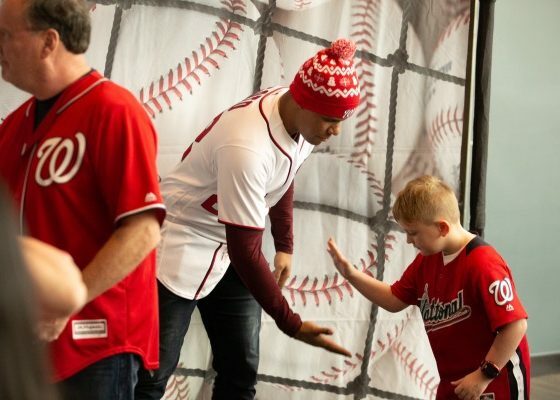 Stephenson said bringing a toy to the event paid off because she exchanged a toy for a ticket to meet a baseball player. 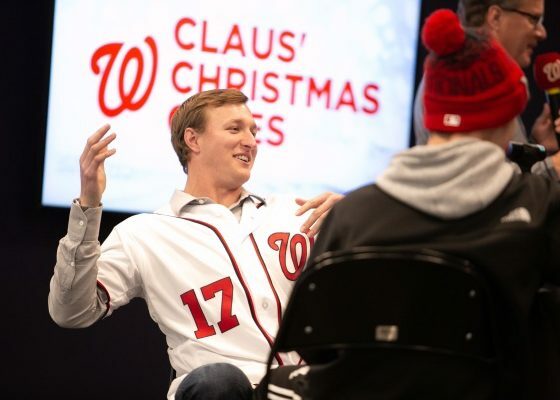 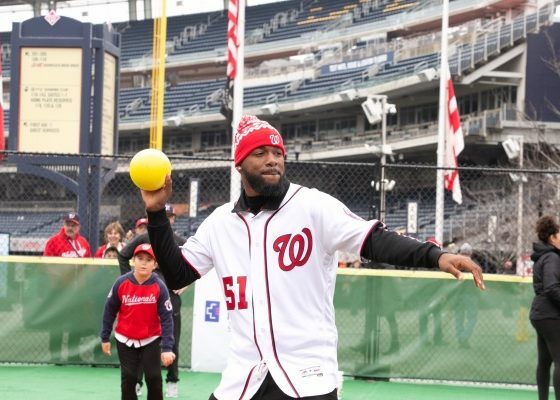 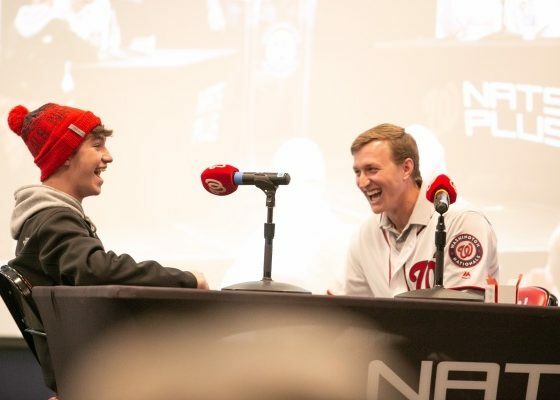 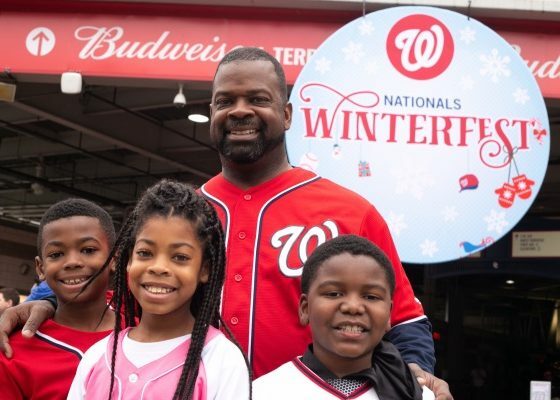 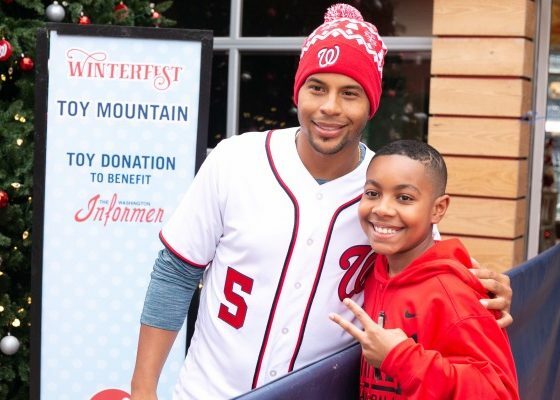 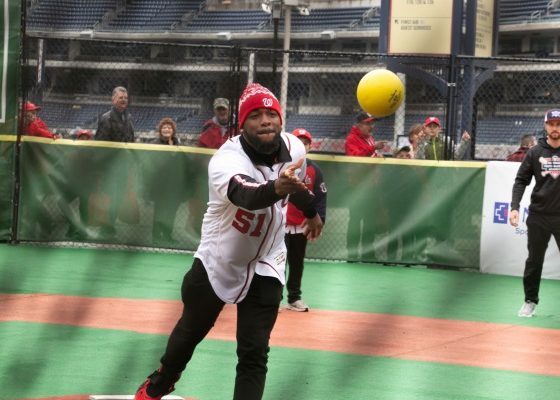 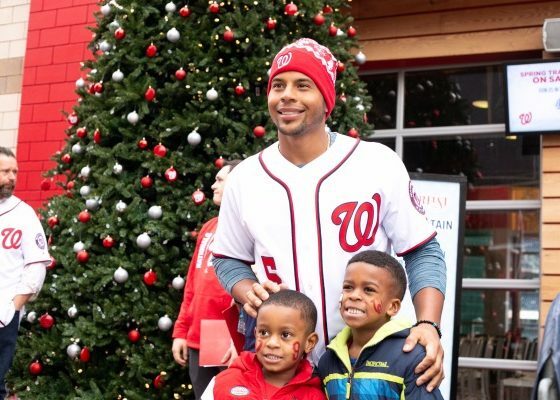 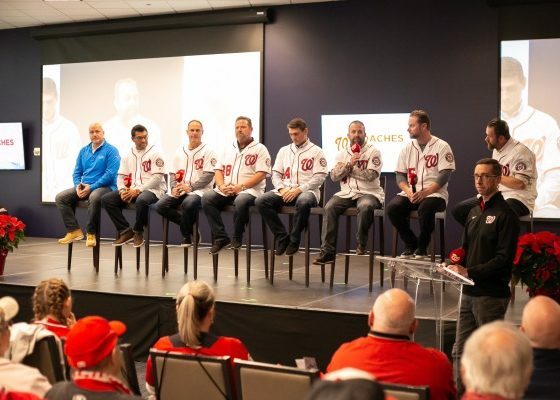 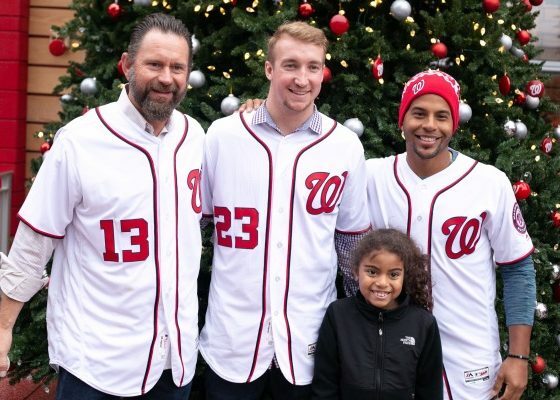 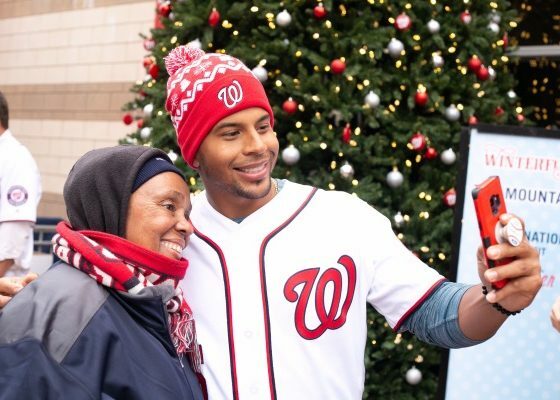 Winterfest, which continued Sunday, was an “all hands on deck” event for the Nationals organization because it was a chance to give back to the community that has supported them in a big way, team officials said.